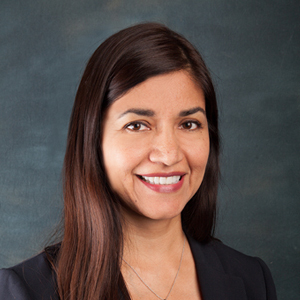 Nydia Martinez, Legal Assistant, has more than 20 years experience assisting attorneys as a bilingual legal secretary. She currently assists Gregg S. Garfinkel and Amy W. Lewis. Nydia is a native New Yorker of Ecuadorian descent, who moved to California in 1991 with her parents and younger brother. In her free time, Nydia enjoys going to the movies, bowling, miniature golf and Zumba, but most of all she enjoys spending quality time with her daughter, Sophie.